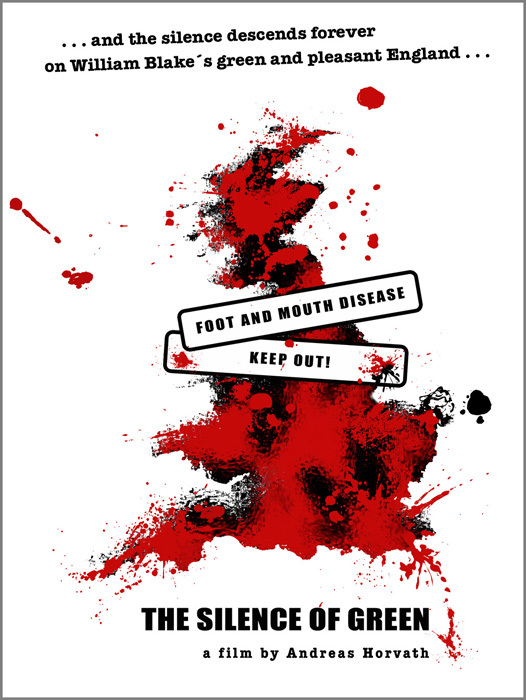 Early in the year 2001 northern Yorkshire was struck by foot-and-mouth disease. The army was called in to seal off the contaminated area, and the destruction of nearly four million animals quietly went ahead. Dramatic scenes of mass slaughters filmed from a distance alternate with shots of abandoned pastures and skies with majestic clouds … Andreas Horvath has composed a liturgy on the mysterious relationship between man, animal and nature. The Silence of Green is a political and metaphysical reflection in which marvellous and fragile images turn the many layers of reality into an edifying and moving drama. An exceptional portrait of a landscape in mourning. A rare mixture of visual beauty and militant cinema.